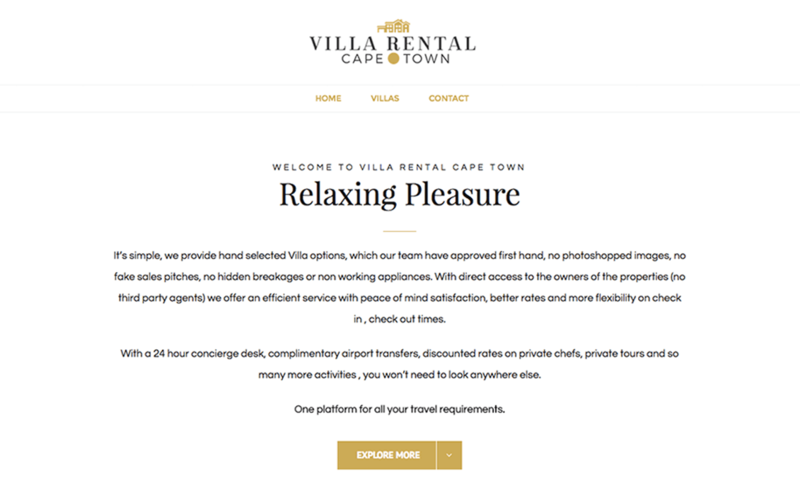 Villa Rental Cape Town is a high-end trendsetter in the luxury rental and concierge services industry in Cape Town, South Africa. 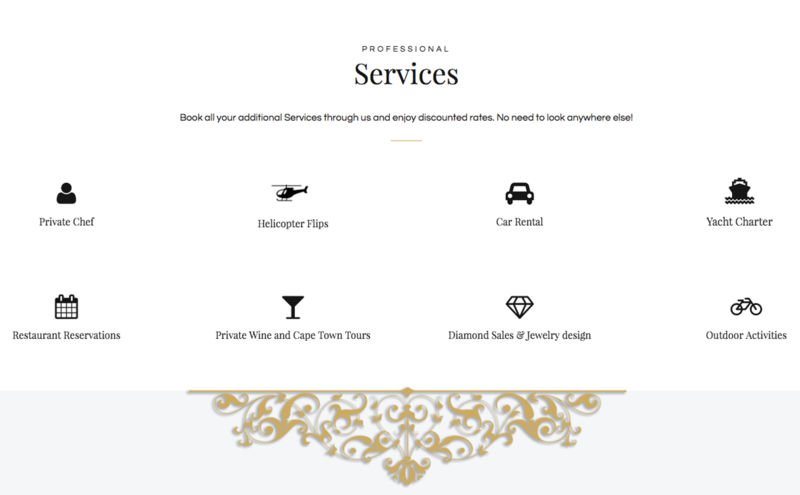 So naturally, when they came to The Website Engineer, they wanted a website that was as visually elegant as the incredible range of villas and other services they have available in the Cape Town area. The core of the project wasn’t just to build a website, but to create a platform where villas can be added, updated or removed on a weekly basis, with minimal effort and time on the part of Villa Rental staff. We also designed a simple, sleek user interface that guides the user to the most impressive villas available. The custom platform allows for villas to be uploaded by directly entering information into predefined text fields in a series of simple guided steps, allowing Villa Rental staff to upload a new listing in just 5 minutes. Once the required fields are completed, and the featured images are loaded, the backend scripts create new villa entries on the website in a consistent, beautifully-designed template showing every important detail about each listing. Several different features of Villas needs to be apparent to the website visitors. All these requirements are created and easily customisable to allow for unique features and ranging conditional logic expressions.